Sony KDL-26EX302 review | What Hi-Fi? There are more TVs from Sony in our current Buyer's Guide than from any other manufacturer. And that total figure – 37 in all – is only around a couple of years' worth of reviews. What's more, just one has got anything less than a four star verdict (the KDL-40EX713, for the record, and that was down to backlight issues). It seemed like the right thing to do, then, to call in the best 26in TV (of two) in the company's existing line-up. As with the bulk of smaler screen sets, you have to make some sacrifices in terms of specification at this size, but Sony does its best to make it up to you with the odd frill – and of course a knockdown price. 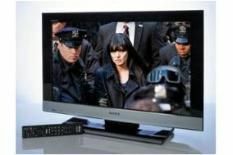 You have to settle for a 1366 x 768, HD Ready screen resolution (though it can handle 1080p/24fps high-definition video), make do without an integrated HD tuner and live without Sony's Bravia Internet Video service. However, you are treated to a Freeview tuner, a generous four HDMI inputs, a USB connection that supports videos, music and pictures, the Bravia Sync system for controlling all HDMI-connected Sony devices with one remote and a light sensor to adjust the picture according to ambient light. Sony's XrossMediaBar menu system is present, too. While we were big fans of this when it first appeared on the PS3 and then made the jump to Bravia products, it's starting to look a bit long in the tooth. What's more, it doesn't seem to have made the leap to this size screen as successfully as on some sets, making it a little harder to navigate than usual. Anyway, enough poring over the spec sheet. Get down to business with a DVD and it's clear this set has a capable scaler. Pictures are crisp and sharp, and as Scott Pilgrim vs. the World demonstrates, it's capable with bright colours and darker scenes, delivering plenty of detail with both. Motion is solidly handled too, though for once it might be pipped in absolute smoothness terms by more capable rivals. You'll find still little reason for complaint, though. Switch to high-def material courtesy of a Blu-ray disc, and again the image impresses. Colours are bright but natural, contrast levels are good and the picture is free from noise. to the very best, with instances of noise and instability on an otherwise nicely balance picture. We can accept the lower-specification on a TV of this size, but that other sets offer more for the money. It just goes to show that different screen sizes are different propositions. So, for once, Sony won't be walking away with the plaudits.